Last year I blogged about 2013 Beauty Advent Calendars and it proved to be one of my most popular posts. It is so much fun searching for these little beauties that I am doing it all again. In September, I hear you say? Yes, apparently so. You see, companies are really starting to pick up on this whole concept of beauty calendars and this relatively new market is growing quite rapidly. Each year a new beauty calendar emerges, a little bit more special and far more chic than the rest. And the top beauty calendars sell out fast. 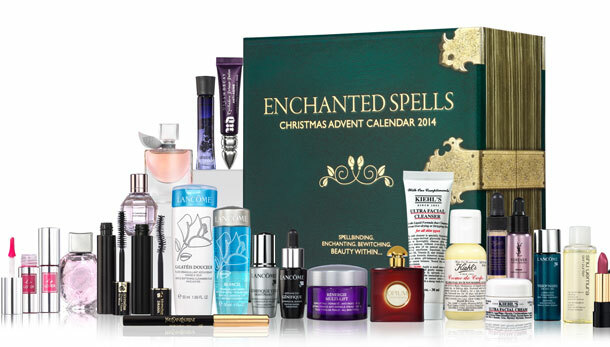 The Enchanted Spells Beauty Advent Calendar from Selfridges is a must-have with 24 luxurious miniature treats including a selection of fragrances, makeup and skincare from some of the world’s best beauty brands including Lancôme, Yves Saint Laurent, Kiehl’s, Victor & Rolf and more. Last year it was a bestseller and sold out pretty quickly, so register your interest on the Selfridges website today to be one of the first to know when the calendar becomes available. The theme of the Benefit Advent Calendar for 2014 is Candy-Coated Countdown. So cute! I love this calendar as it’s filled with miniature-sized samples of Benefit’s bestsellers – ideal to keep in your handbag over the festive season! Buy Benefit’s Candy-Coated Countdown from October 16 from Debenhams and http://www.benefitcosmetics.co.uk. You can also reserve a calendar by visiting a Benefit counter at your local Debenhams. 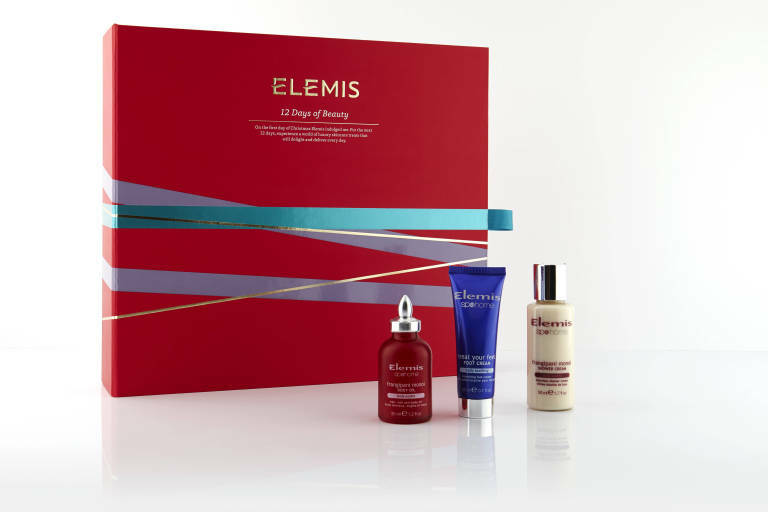 Available to buy online now at http://www.timetospa.co.uk/elemis/elemis-12-days-of-beauty-gift-set/. A design based on a replica of the iconic store combined with the quintessential Liberty print makes this a beauty calendar like no other. Packed full of luxurious beauty products from Laura Mercier and NARS to Diptyque and Eve Lom, this is a highly-coveted calendar that will look super chic sitting on your kitchen side at home! Available in store and at http://www.liberty.co.uk from November. Let’s stop a minute to fully appreciate this L’Occitane Advent Calendar, packed with 13 Pampering Treats from Provence. It may not be the standard 24 products but there is a special reason for this – in Provence, it is a holiday tradition to have 13 deserts on the festival table. A collection of luxurious L’Occitane fragrance, skincare and body beauty treats to delve into over Christmas, what’s not to love? Available to buy from November 3 at uk.loccitane.com. Worth over £240, the You Beauty Discovery Advent Calendar is bursting with a host of premium products and it is available to non-members and members. This beauty calendar will give you more than what you pay for, packed full of products from sought-after brands including Laura Mercier, Sisley and Glam Glow, James Read and my favourite tan, Vita Liberata. If you like the finer things in life, the Jo Malone advent calendar has your name all over it. Styled in the facade of the Jo Malone Georgian townhouse, each door opens to a host of luxurious beauty products; refined colognes, rich moisturising creams and beautiful scents. Buy online or in-store http://www.jomalone.co.uk.